The 51s have given up 30 runs in two games against Round Rock. With a day game Sunday, there is little time for Las Vegas to dwell on its latest blowout loss, a 18-7 shellacking by Round Rock. And that’s a good thing for the 51s (26-37), who lost in ugly fashion on Saturday night at Cashman Field. They gave up a season-high 22 hits to Round Rock (28-34). Five of those were home runs. There were wild pitches, passed balls and a pair of costly errors. Starter P.J. 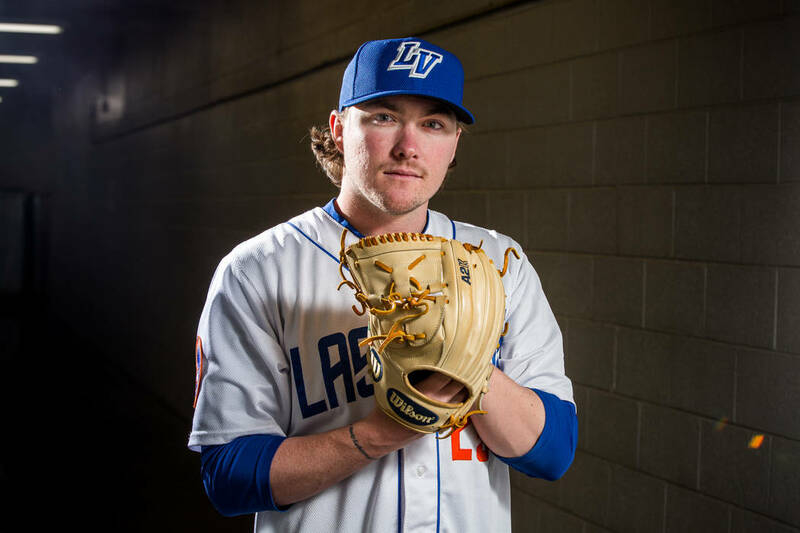 Conlon, who was making his first start since being designated for assignment by the Mets, claimed by the Dodgers and then claimed again by the Mets, gave up 10 runs — eight earned — in 4⅔ innings pitched. It was his first time pitching since May 28. Conlon gave up four home runs, including two in the second inning and back-to-back blasts in the fifth. Conlon said he was happy with his velocity and his curveball, despite the results. After he departed, Joshua Torres came on for his Triple-A debut and was knocked around, giving up three runs on seven hits in 2⅓ innings pitched. Gerson Bautista followed, giving up five runs of his own in the eighth inning and Kyle Regnault pitched a scoreless ninth. All five runs Bautista gave up were unearned as second baseman Joey Wong made an error trying to throw a runner out at second base. Kevin Kaczmarski made an error of his own earlier in the game, missing a catch in left field in what should have been the third out of the fifth inning, leading to multiple runs scoring. Offensively, the 51s scattered nine hits. Kaczmarski, Zach Borenstein and Cody Asche each had two RBIs, with the latter two each hitting two-run blasts in the fourth inning. But the 51s were shut down from there, held scoreless in the last four innings of the game, three of which were pitched by lefties.